Agent Carter: Easter Eggs and Marvel Comics References in "Time and Tide"
In tonight's episode of Marvel's Agent Carter, we didn't get the smorgasbord of name-drops and references we did in the first two episodes...although part of that is just that we don't count the same names when they're dropped again. Read on, and let us know what we missed. It seems very unlikely that this is an actual connection, but when I heard that line all I could think of was the Cosmic Ray Intensifier that Tony Stark and S.H.I.E.L.D. were setting up in Nevada when Unicorn and Red Ghost attacked it. This was in an old Iron Man story that I recently read in an anthology collection of some kind. It's worth mentioning that according to the Marvel Wiki, Unicorn has ties to Anton Vanko, whose father appeared last episode. There's nothing in Jarvis' comic book backstory that's anything like the dishonorable discharge and treason charges alluded to here. In fact, he ran to Canada in the early days of the war to serve against the Nazis as an underage pilot, served with honor and then came back to become a butler after the war. No idea who she might be, although there was a President Underwood in Captain America comics at one point. This might just be a wink-and-a-nod to that part of the mythology, although even that much is unlikely. In the comics, Edwin Jarvis was actually American, and took on the English accent during the War. I don't think that's his Cinematic Universe origin, but it could explain why he was so good at it...! The Constrictor device is interesting...there's a villain by that name in the Marvel Universe who has mechanical tendrils and a snake motif. He used to be a S.H.I.E.L.D. agent! That guy Agent Carter and Jarvis kicked the snot out of? He's got a comic book counterpart, yeah. The circus connection they mention? 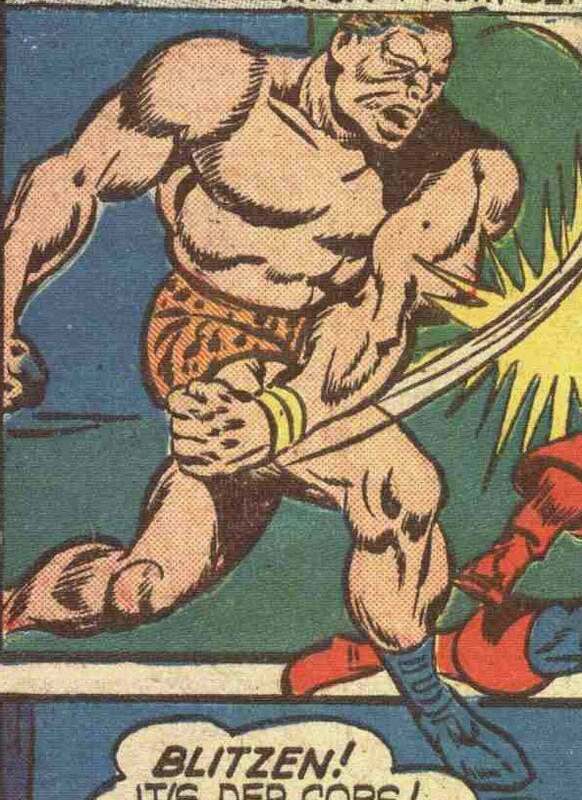 Zandow the Strong Man was a villain who had connections to the Circus of Crime in early Captain America comics.